In which G.M. 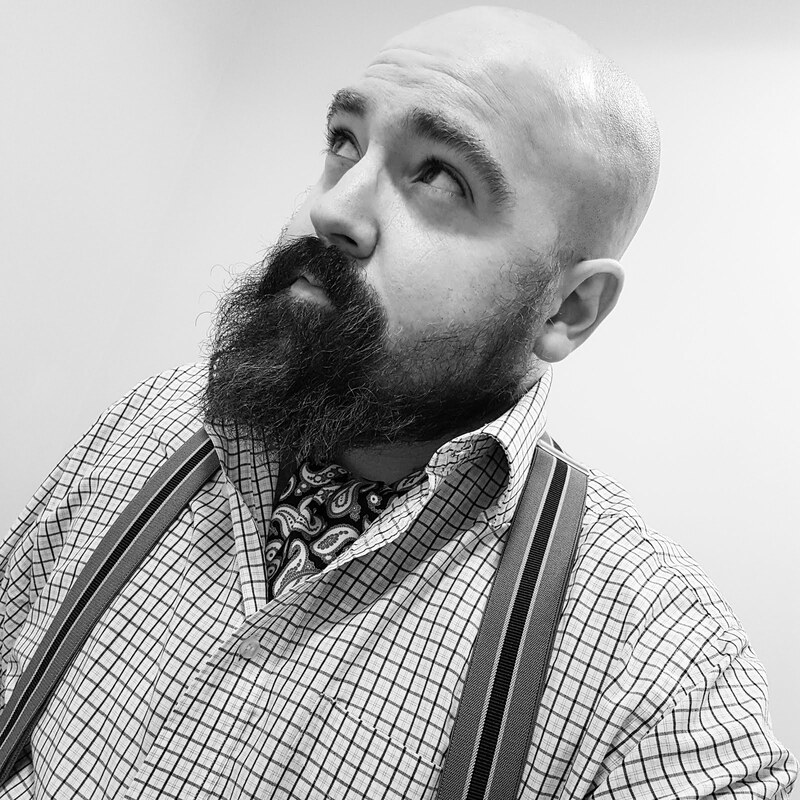 Norton explains how a gift of socks can be a joy to behold on Christmas morning. Socks, the thoughtless yet practical Christmas gift for chaps who quite frankly, would still very much appreciate a train set. Due to such disappointing experiences, men have mastered the art of feigning gratitude for nondescript socks, probably purloined on a whim while stood in a department store queue. Such a sorry episode is doing the sock a great disservice though. Cheap and nasty socks are an abomination. Dare I mention them, but novelty socks or those with days of the week emblazoned across are even more ghastly! In truth though, if you are having trouble deciding what gift to present to the male of the species, then a luxurious pair of socks is a darn fine option. I would genuinely love to wake up on Christmas morning, and after consuming the traditional glass of dry sherry, be presented with an exquisitely wrapped parcel containing a pair of super soft socks. Items such as socks can quite often be overlooked and undervalued. Some men naturally reach for a jumper in the softest cashmere but wrap their feet in the cheapest of materials. 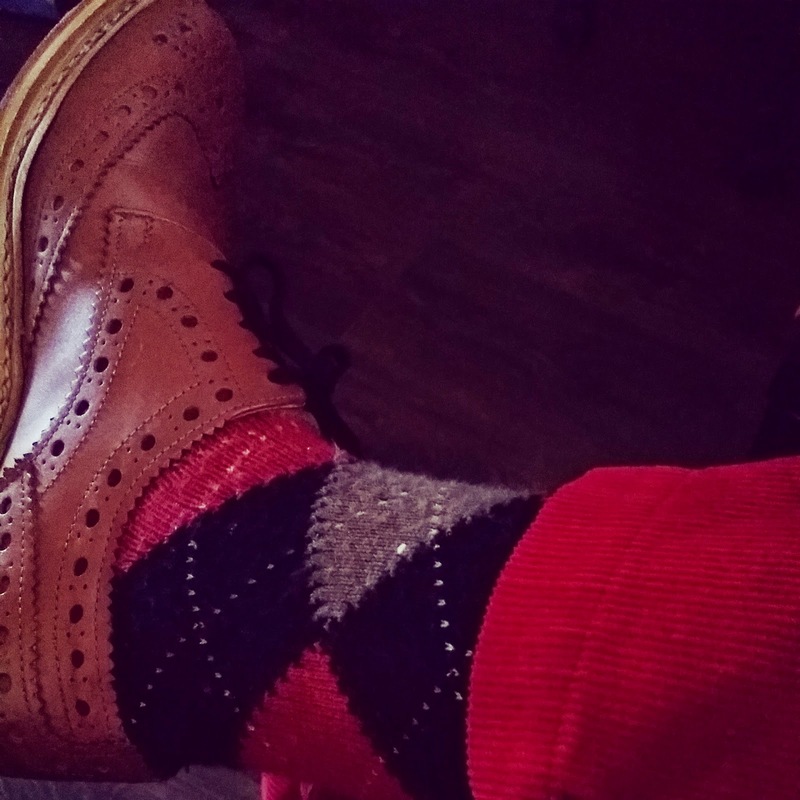 A good quality pair of socks can transform an outfit. And the sheer decadence of walking around in superior hosiery really does put a spring in your step. 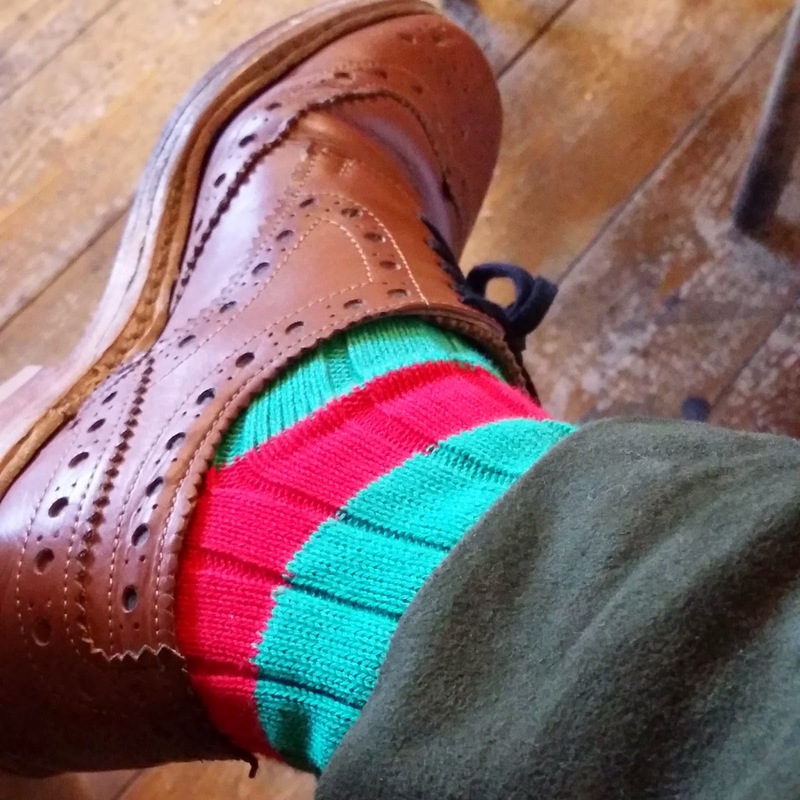 There are two important things to consider when deciding on a pair of socks - the choice of material and the colour. Socks are available in rather fine materials including cotton, merino wool, silk and cashmere. Colour wise, they can range from outlandish and adorned with pattern or quite muted with single shades. 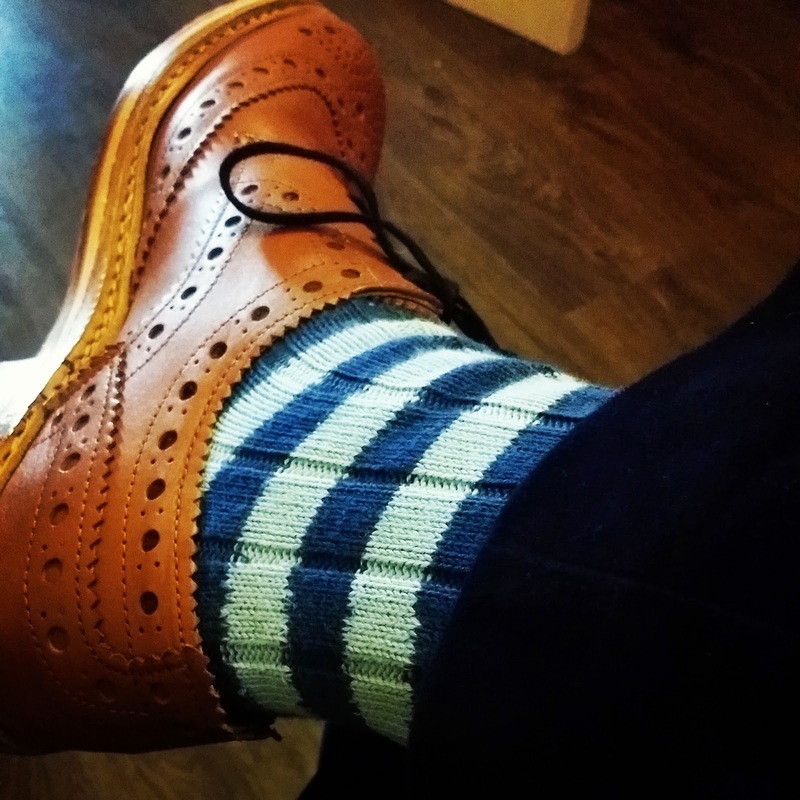 My socks supplier of choice is Marko John’s – beautiful made in England socks, linked by hand for superior quality. Of course, there are others out there. Pantherella and Burlington being two other British options. I do hope I have made you reconsider the sock as a Christmas gift idea. Once your receiver of socks picks them up and feels their feather-like softness, the smile he was forcing will become a sincere one.